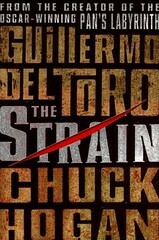 Milk addictions, Nazi monstrosities & long-suffering canines: Three things about The Strain. Young Abraham’s eyes brightened, and immediately the cabbage borscht in the wooden bowl got tastier, or at least less garlicky. He was a pale boy, underweight and sickly. His grandmother, intent on fattening him, sat across from him while he ate his soup, entertaining him by spinning him a yarn. A bubbeh meiseh, a “grandmother’s story.” A fairy tale. A legend. “Yes, Bubbeh?” said Abraham, between spoonfuls. Spoiler warning: minor plot details discussed below. Our hero “Eph” is accompanied by fellow CDC scientist Nora Martinez, along with a rag-tag team of unlikely experts, namely: Vasily Fet, an exterminator working for the City of New York and Abraham Setrakian, an elderly pawnshop owner and Holocaust survivor who has spent much of his life in pursuit of the Dark One. I don’t want to spoil the book for anyone, so I won’t go any further into plot details than this. One rave featured on the back cover describes it as “Bram Stoker meets Stephen King meets Michael Crichton”; I don’t know about Crichton, but if you’re a fan of Stephen King and/or modern-day vampire stories, you’ll love The Strain. Nor can I offer a comprehensive look at what I’ll call the story’s “animal ethics,” as The Strain is the first part of a trilogy. (I’m still waiting for a copy of The Fall to become available at my public library, and Eternal Night won’t be released for several more months.) I would, however, like to discuss several specific passages and plot details. 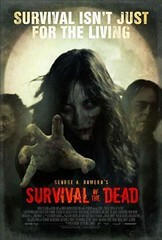 Survival of the Dead is Romero’s 2009 follow-up to Diary of the Dead. While similar in style and tone, I found its ending and implications to be far more disturbing than those of its predecessor. Without going too much into plot detail – it’s mostly incidental – Survival of the Dead follows a band of ex-military mercenaries (seen briefly in Diary of the Dead) as they escape a U.S. mainland riddled with zombies for a seeming island oasis. Located off the coast of Delaware, Plum Island is controlled by two feuding Irish families: the O’Flynns and the Muldoons. While the O’Flynn clan and its allies work to save the island and its remaining human residents from an infestation of the undead by finding and slaying all of those infected, the Muldoon camp believes that it’s their familial duty to keep their zombie kin alive – but chained up and under control – until a cure can be found. Naturally, these two philosophies cause a further rift between the competing families; ultimately, the Muldoons prevail, and Patrick O’Flynn – family patriarch and head of the zombie-hunting posse – is banished from the island. After some time, O’Flynn returns in the company of the mercenaries, only to find the zombies “chained up […] in imitation of their previous lives – a mailman puts mail in a mailbox, a logger wields an axe on some wood, and so on,” as Wiki so aptly describes it. The remaining inhabitants have started to lose hope that a cure is forthcoming; instead, they’ve shifted goals, aiming to train the zombies to at least “act” human – and, more importantly, to crave and consume the flesh of nonhuman animals over that of their human kin. Ultimately, a show-down between the two clans hinges upon Seamus Muldoon’s success in this endeavor. One of Patrick Muldoon’s daughters, the zombie Jane, is placed in a small corral with a horse, in whom she shows little interest. Instead, she bites the hand of her twin sister Janet, thus infecting her as well. A gunfight breaks out between the two warring factions, and in the chaos, a group of gathered zombies is set loose on the participants, most of whom are devoured by their undead relatives. After the battle ends and the group disperses, Jane does attack the horse, biting a chunk of flesh from his body. Alas, the only witnesses to this “victory” are Janet and her father. As Janet rushes off to inform the departing group, Patrick shoots his infected daughter in the head; the secret now belongs to the ever-proud Patrick, and Patrick alone. The Muldoons, it turns out, were right: zombies can be retrained to eat nonhuman animals. In the context of the film, this shift in consumptive preferences is presented as a “good” thing – progress, success, a triumph. But is it? As a vegan, my answer is obvious. But one need not be an animal advocate to see the horrific moral calculations embodied in this message. As popularly imagined – and certainly, as presented in Romero’s films – zombies are…undead. Unfeeling. Immune to pain, of either the physical or psychological sort. Lacking in emotions. Incapable of anything but the most rudimentary, instinctive thought. Unable to bond with or even recognize friends and family members. But most of all, they are dead! They had and lived their one life and, while it may have ended prematurely, it is over. And yet, we’re supposed to see the sacrifice of countless other lives in sustenance of the undead as a “win”? As compared to zombies, nonhuman animals are sentient; they are capable of feeling pain, and suffer immensely while consumed alive, piece by agonizing piece, whether by zombies or humans. They can think, fall in love, experience joy and sadness, and feel fear and longing. They have friends and families, daughters and sons, mothers and fathers. Their will to live is no less than our own. Going far beyond the fucked up, speciesist morals and practices of existing human societies, Survival of the Dead imagines a world in which nonhumans animals aren’t just “less than” humans – but are also “less than” dead humans. Has-been humans. Once-were humans. Are no more-humans. At best, terminally ill and in need of swift, humane euthanasia. At worst, just this side of a rock. Nonhuman animals < zombies = a world I don't want to live in. Is there a reason our undead families should snack on the flesh of nonhuman animals over that of humans? (After all, it is we who cannot accept their deaths.) Would we willingly offer our own bodies up to aid zombie dogs or undead polar bears in their own survival? (I think not.) And what happens, exactly, when the undead eat through all the nonhuman animal life forms on the planet? Humans are already devouring the planet’s resources at an alarming rate; earth simply would not survive an undead army of consumers for long. Ultimately, the Survival of the Dead would mean the demise of all – humans and nonhumans alike. 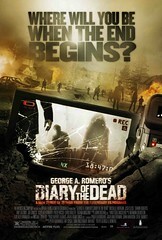 George A. Romero’s Diary of the Dead (2007) is your standard, post-apocalyptic zombie fare. As the dead begin to reanimate, a group of film students and their professor flees down the East Coast in a rickety RV. The story is told from the vantage point of the students, in particular Jason, the aspiring documentarian of the group. The final scene, narrated by Jason’s girlfriend, Debra (who took up his cause after he was mauled to death by a zombie; no spoiler alert needed, as she refers to him in the past tense throughout the film’s voiceover), turns the camera’s lens inward, into the heart of humanity. 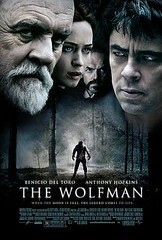 Click here to watch the movie’s ending (skip ahead to 6:50; sorry, embedding disabled! ), or keep reading for a transcript. Kay eyes Patrick’s burger from over the top of her book, Meat Is Not Green. Image from “Meat is Murder.” Original air date April 19, 2010. Copyright ABC Family. Sorry for my absence, folks. 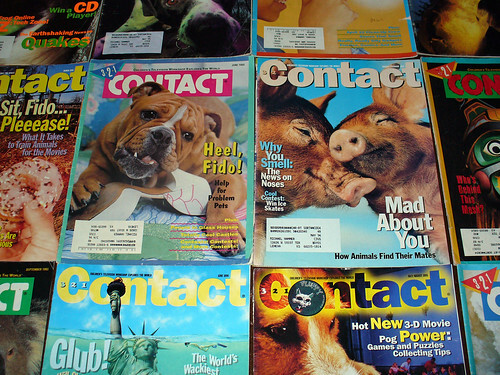 I’ve been otherwise preoccupied in the “real world,” and – while I wish I could say that I’ll soon return to regular blogging – this may or may not be the case. In the meantime, check out the following alert from DawnWatch, wherein Karen provides an overview of a recent veg-friendly episode of ABC Family’s 10 Things I Hate About You (“Meat Is Murder,” Season 1, Episode 14). Sadly, last week it was announced that the show will not be picked up for a second season; however, I still urge you to send some feedback ABC’s way, whether positive or negative (or a little bit of both! ), in order to encourage similar (or new and improved!) plot lines in the future. Last Monday’s episode, April 19, of the hit primetime ABC series “10 Things I Hate About You” was titled “Meat is Murder.” It centered on Kat’s efforts to get Meatless Monday’s introduced at her school. You can watch the episode on line [here]. I urge you to check it out, at least for a minute — stations take note of what shows and episodes get the most online hits.